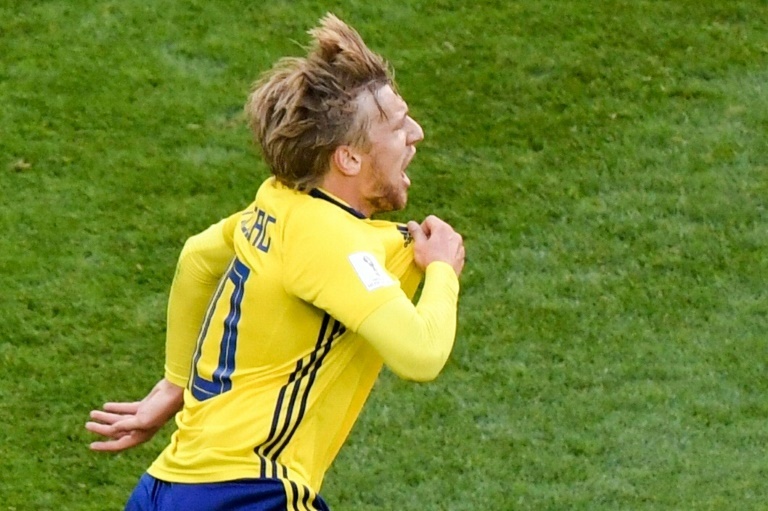 Sweden face England on Saturday for a place in the World Cup semi-finals with Emil Forsberg having succeeded Zlatan Ibrahimovic as their talisman -- just don't tell him that. "You can talk about it, I won't do that", he answered tersely when asked if Sweden's run to the last eight at the World Cup in Russia is linked to Ibrahimovic's absence. 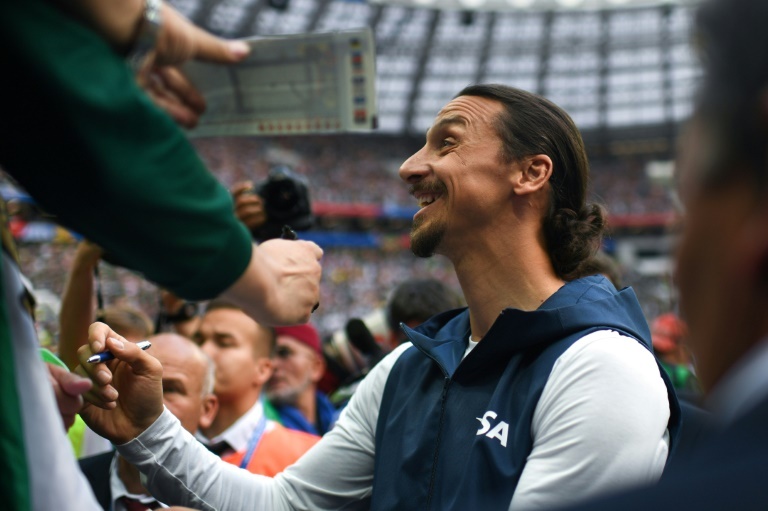 With "Ibrakadabra" in the team, Sweden bowed out of the World Cup finals twice at the last-16 stage, against Senegal in 2002 and then Germany in 2006. "I have the feeling that after Zlatan's retirement, the pressure or expectation grew," Forsberg said in an interview before the World Cup. The winger chases the glory of scoring goals with just as much determination as the ponytailed Ibrahimovic. However, Forsberg is equally committed to his defensive work, pressing as hard as any teammate when the opponent has the ball and putting in tackles -- not Ibra's forte. 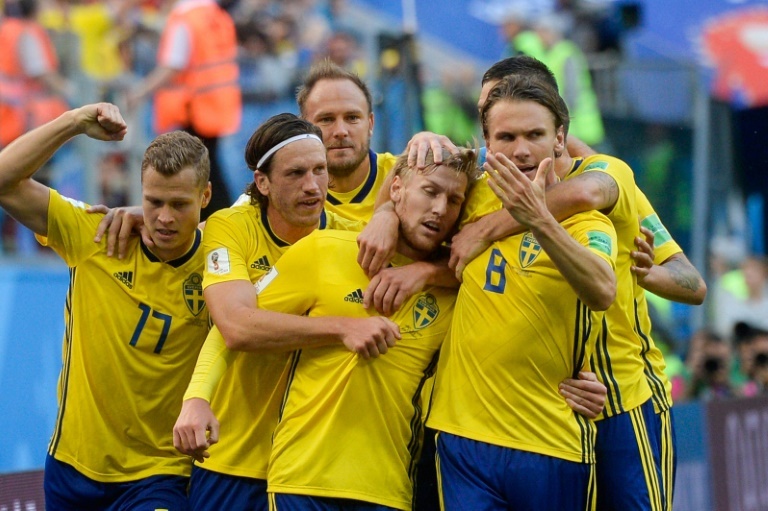 "He sets the pace," said Sweden coach Janne Andersson. "I was crushed," he recalls. "I thought, 'what am I supposed to do? Magically grow taller? If I can't even make this camp, how am I ever going to play for Sweden?'" However, Forsberg made his professional debut three years later and attributes his success to his wife, Shanga, who played for RB Leipzig's women's team, who he refers to as "The Sheriff". "Straight away, she started pushing me to be more aggressive and helping me to get better," said Forsberg after the couple met when he was 14. His biggest fan is also his harshest critic. "The only time I get nervous in football is after I play a bad game," Forsberg revealed. "You see, when I get home that night, I know what’s coming... a meeting with 'the Sheriff'. "And let me tell you, it can be brutal. The Sheriff always gives it to me straight. "And if the Sheriff gets really pissed off... well, you don't want to be in the same room. "I could start answering back. But, well, this is marriage, and you know how these arguments work. I've got no chance!" Thankfully, Forsberg rarely has a poor game and the couple are expecting their first child next month. Having made his Swedish league debut in 2009 for home-town club Sundsvall, he had a two-year stint at Malmo. His performances attracted Leipzig, backed by energy drink giant Red Bull, in 2015. Forsberg scored eight goals and made a league-record 19 assists in Leipzig's stunning first season in the German league in 2016/17. He also netted Leipzig's first-ever Champions League goal last season in a 1-1 draw with Monaco. Now is his chance to make more history by ending Sweden's 24-year wait for a place in the World Cup semi-finals.